Power BI encourages you to publish reports to an online service so that you can share your beautiful reports with the world. If you'd rather keep them a secret you can use Power BI Report Server to deploy your reports to an on-premises server, as this blog series shows you. You may be familiar with creating reports in the Microsoft Power BI Desktop application and then publishing these reports to the online Power BI Service. If you want to save reports to a Power BI Report Server you'll need a different version of Power BI Desktop with the catchy name of Microsoft Power BI Desktop (Optimized for Power BI Report Server)! You can have both the regular and Report Server versions of Power BI Desktop installed at the same time. 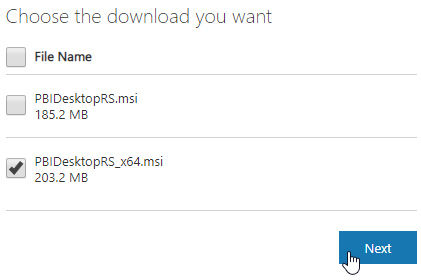 Click the download arrow button and choose Power BI Desktop from the menu. Click the Download button to obtain the software. Choose the 32-bit or 64-bit edition of the software then click Next. We're choosing to download the 64-bit edition of the software. You can then follow the simple wizard to install the software. Each version of Power BI Desktop has a distinct icon. The regular Power BI Desktop application has a bright yellow icon with a black graphic. The icon for the Report Server version has the colour scheme inverted. Run the application by clicking the icon shown above. 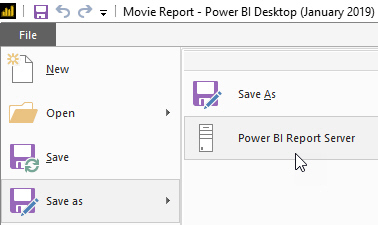 You can save a report to a Power BI Report Server. Installing a Power BI Report Server would be pointless if you couldn't save reports to it! 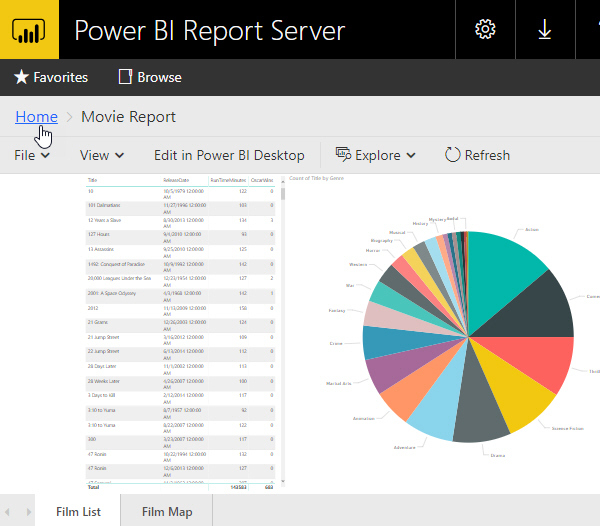 You can open reports directly from a Power BI Report Server. If you've saved a report to a report server, you can also open it from that location. You can't use Preview features. In the regular version of Power BI Desktop you can choose File | Options and settings | Options in order to enable Preview features. These aren't available in the Report Server version of the software. Enter the URL of the Web Portal that you created in the previous part of this blog series. Enter a file name in the text box and click OK.
Click the Take me there link to open the Web Portal in your default browser and navigate to the report you have just saved. Click the Home link at the top of the report to return to the home page of the Web Portal. 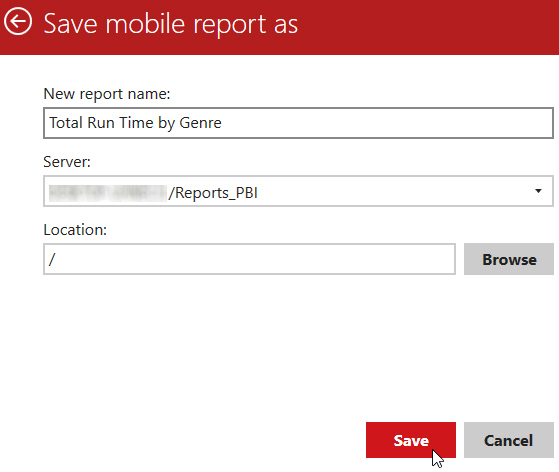 In Report Builder you can connect to a Power BI Report Server using the Web Service URL and save your reports directly to this server. 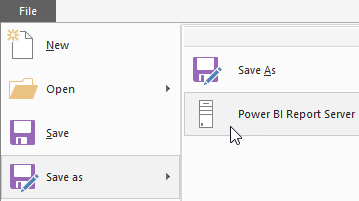 Once you've added a connection to the Power BI Report Server you can choose it when you save a report. 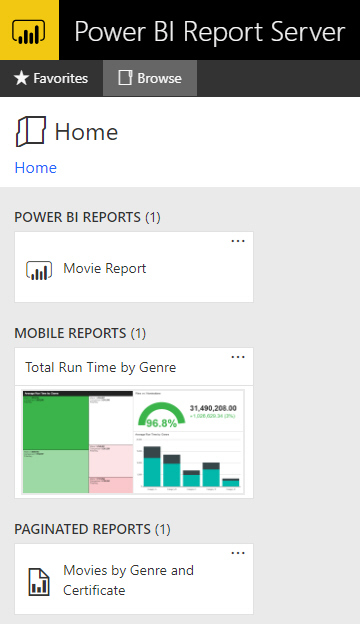 Power BI reports and Mobile reports each have an obviously-named section. 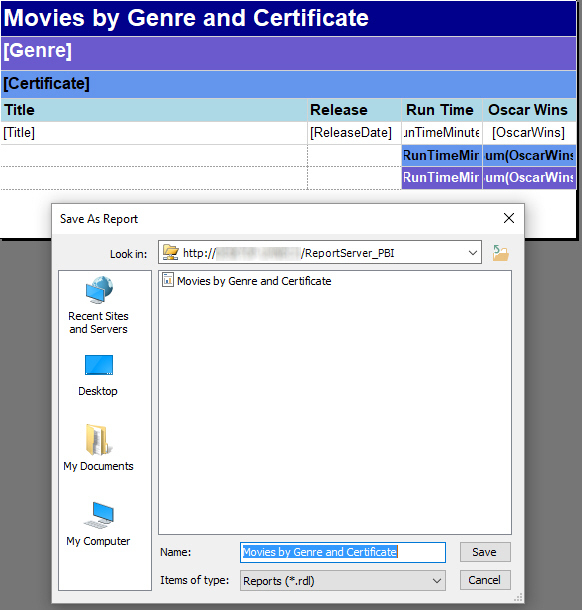 SSRS reports created in Report Builder or Visual Studio are assigned to the Paginated Reports category.